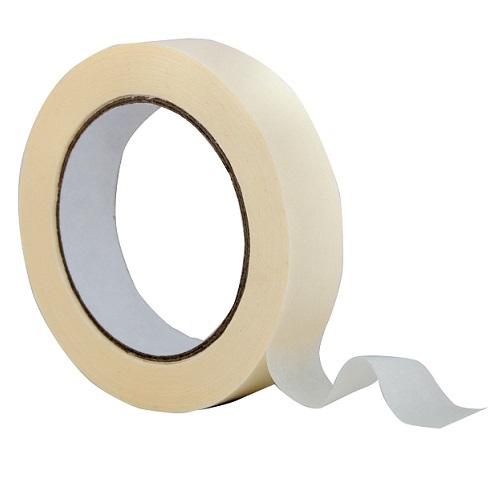 Here at UK Industrial Tapes we offer a high grade or premium grade within our Masking Tape range. Cream in colour with a 59gsm paper carrier the 9494 Masking Tape is thicker than the industry standard but is still very flexible making it easy to mold into position for a neat finish. The 9494 Masking Tape must be applied at room temperature for best results. Please note we do not recommend using this on high value or irreplaceable artwork and prints. This general purpose masking tape has good adhesive even on irregular surfaces and is resistant to most common paints. Hand tear able and conformable to most shapes. Our 9494 Masking Tape is available in sizes 25mm - 75mm on a 50m roll. With over 20 years’ experience in manufacturing and supply of adhesive tapes and adhesive products, we have become a major supplier of high performance ‘pressure sensitive’ tapes for a vast range of markets and applications worldwide. We pride ourselves on high product quality combined with excellent customer service to offer reliable and innovative solutions for all applications. We constantly develop and add products to our range, thus improving the offering of adhesive products to suit all customer requirements. Glass, Glazing & Construction, Picture Framing, Exhibition & Events, Crystal Clear Polypropylene Bags and Packaging. If you require any further information or have a bespoke product or application you would like to discuss, please contact our expert team on 0191 269 7810 or email "sales@ukindustrialtapes.co.uk"